At McAvoy Guns, we offer a wide selection of rimfire rifles. 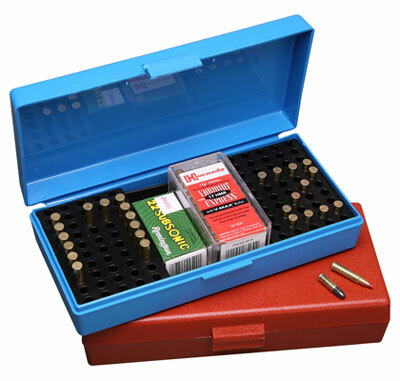 Covering both new & used guns, we supply all the top brands, plus thousands of accessories. Click on the links above to visit each department. If you can't find the gun you are looking for, please don't hesitate to contact us, we will be happy to help. The favourite among 22 rifle caliber small bore competitors. 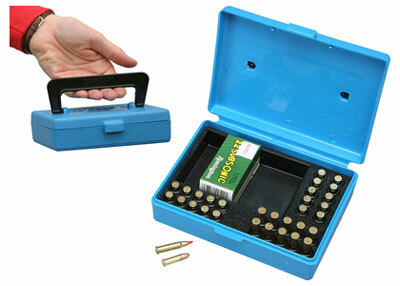 Holds 30 rounds – three strings – projectile down for easy handling. There is enough reserved space for boxed ammo or loose rounds. Features a Snap-lok latch and a fold down handle for easy transporting. Retooled in 2008 and now fits 17 HMR. 130 rounds of 22 Win. Mag. 30 rounds of: 17 HMR - Extra rounds can go in open area.